If you’re a data scientist, researcher, engineer, or developer, you may be familiar with Google Cloud’s set of Deep Learning Virtual Machine (VM) images, which enable the one-click setup machine learning-focused development environments. But some data scientists still use a combination of pandas, Dask, scikit-learn, and Spark on traditional CPU-based instances. 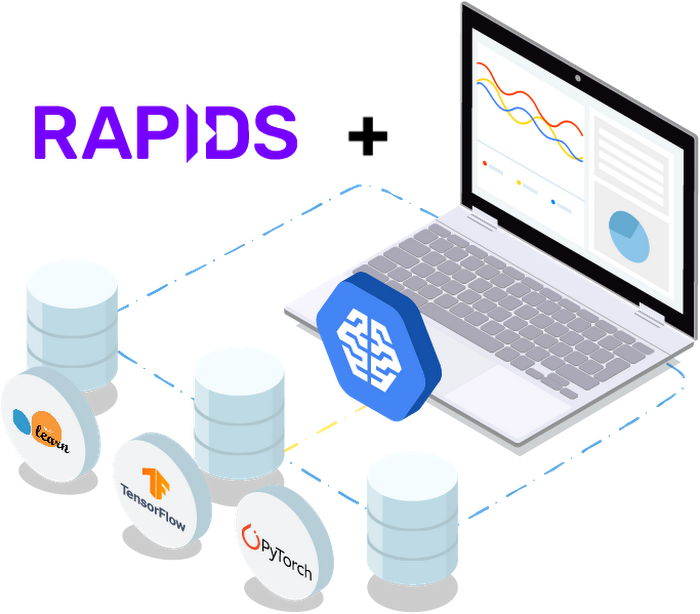 If you’d like to speed up your end-to-end pipeline through scale, Google Cloud’s Deep Learning VMs now include an experimental image with RAPIDS, NVIDIA’s open source and Python-based GPU-accelerated data processing and machine learning libraries that are a key part of NVIDIA’s larger collection of CUDA-X AI accelerated software. CUDA-X AI is the collection of NVIDIA's GPU acceleration libraries to accelerate deep learning, machine learning, and data analysis.